I am Matthew Davidson, MBA, and Sales Representative at RE/MAX Twin City Realty Inc. I am the Tech Community Real Estate Agent. After completing the MBA at Wilfrid Laurier University, I spent my days at Communitech by providing coaching on marketing, sales, general management, and strategy to over 450+ high-tech startup companies. 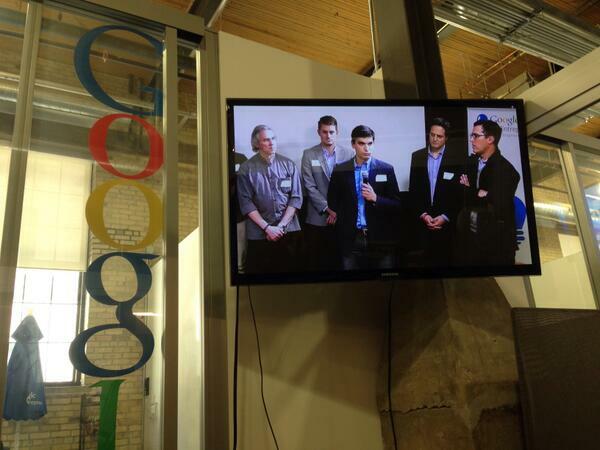 I had a lot of fun when I was a Startup Coach and Manager of Startup Services at Communitech. On this occasion, I spent time at Google HQ, Facebook HQ, and Pebble HQ in California. I know that our region is small but mighty, when it comes to tech communities across the world. I took to the stage at Google Ventures' HQ to advocate for the Kitchener-Waterloo Tech Community to a live audience of the biggest Venture Capital investors in Mountain View. My advocating for our region as a powerful underdog was live-streamed across the world. 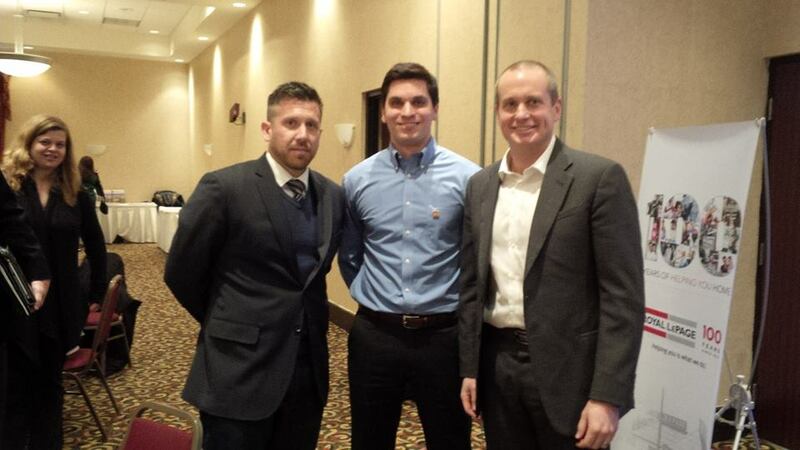 Did you know that Canada's Top 2 Startups of 2013 were founded and headquartered in Kitchener-Waterloo? Check out Vidyard and Thalmic Labs! Coaching startups led me to founding a startup. Here I am at Startup Weekend KW competition, where my team at Fides Social was Runner-Up. Merging my Interests: Real Estate and Tech. I found an opportunity to merge my two interests: real estate and high-technology. I innovated within our department and introduced the Customer Collision program where 10 startups demonstrated their product to 150 potential customers: Realtors, Brokers, Property Managers, and Home Builders, with the aim of driving new sales for the startup. I took the opportunity to speak about the exciting tech community in Kitchener-Waterloo with 175 Royal Lepage Realtors at their annual kickoff event. Here I am with two local entrepreneurs, Kevin Klages of Planitar, and Darryl Kraemer of IPConline who introduced their technologies alongside me. I am no longer coaching startups at Communitech, since I am a Full-Time Realtor, but I am still coaching entrepreneurs. Here I am assisting local tech entrepreneur, Matthew Gardner, with what is necessary to move his deal to firm status. In 2014, I worked with a number of buyers and sellers at Kaufman Lofts and even achieved the highest selling price for any loft in 404 King St. Kitchener (Kaufman Lofts) this year! Lofts in Downtown Kitchener certainly excite me.